It is hard to imagine a single aspect of our lives that has not been touched by technology. Research by British Psychologists recently found that young adults use smartphones more than they estimate, for an average of 5 hours each day. Ten years ago, smartphones were a brand new concept, and now they can dominate nearly one-third of our waking hours.1 From the moment we wake up, check the news on our smartphones, get a cup of coffee from our Keurig, open up Waze and drive to the office listening to podcasts, the world has certainly been dynamic over the last ten years. This of course extends far beyond our daily personal routine. Unsurprisingly, the Pew Research Center reports that modern workers list the internet and e-mail overwhelmingly as the two most important tools needed to do their jobs.2 Technological advances have changed all aspects of modern life, including not only the expectations of consumers and how we meet them, but the very way that we perform our jobs each day. The question is, where will technology take us next? As technology has touched all of our everyday experiences, it has also affected the life of the perfumer. Traditionally, perfumers receive a brief from the client company that provides an understanding of the desired fragrance; including information on the odor, performance, audience and other key expectations. This has not changed. What has changed is how a perfumer is equipped to address that brief, along with the time, resource and cost that they have to do so. Analytical software has allowed for the industry to identify white space for new ingredients that are needed to drive innovation, fill performance gaps and meet the demands of rapidly shifting consumer preferences. Technological developments often arise as a result of, or in expectation of new challenges. Looking back 20 years ago, the process of fragrance creation was linear and manual, requiring a significant amount of time and effort to create modification after modification until the brief was met. Increasing pressure from regulations, clients, and consumers made technological advances a necessary step forward. The database systems that perfumers formulate with today are just one of the tools that make this possible. It is well known that modern database systems allow perfumers to track and compare modifications at a glance, have a clear vision of cost and regulatory impact while formulating, share information much more readily, and learn from formulas that have had market success. What is amazing is how new innovations are allowing perfumers to see the expected performance of a fragrance on their computer screens. Analyzing and modeling the performance of key ingredients and delivery systems has allowed software developers for the industry giants to create systems that allows perfumers to visualize the expected bloom, change in composition of a fragrance over time, stability, fabric retention of a given fragrance and other key performance metrics before a sample of the fragrance itself is compounded. This may not be an exact science, but it is a predictive analytic that allows perfumers, particularly younger perfumers in training, to visualize and avoid potential pitfalls that otherwise could have taken weeks if not months of stability testing to notice. It also allows the industry to identify white space for new ingredients that are needed to drive innovation, fill performance gaps and meet the demand for new experiences coming from millennials and a rapidly shifting consumer environment. Supplier innovations are coming that allow perfumers to discover ingredients in new ways. Bedoukian Research unveiled their Interactive Fragrance Catalog in 2017, an application on their website that allows perfumers to compare their ingredient solutions at a glance, finding the high impact ingredient needed to win their next brief.3 With advances in molecular and performance modeling, perhaps the next step for suppliers is to provide visually modeled examples of their ingredient’s performance in common applications and finished fragrances, offering that data to fragrance developers so it can be added directly to their own modeling software. With modern robotics, a perfumer or laboratory technician can place beakers on a conveyor, program the robot to create samples overnight, and come in the next day to find the samples nearly ready for evaluation. Another key change has come from robotics, such as the systems offered by Fricke and Contexa. Robotics have been used in compounding and large-scale production for some time, but the lab models being used to make samples of fragrances under development are dramatically changing the efficiency of fragrance creation. Traditionally, fragrance samples for evaluation were assembled manually by laboratory technicians; a time-consuming process. With modern robotics, a perfumer or laboratory technician can place beakers on a conveyor, program the robot to create samples overnight, and come in the next day to find the samples nearly ready for evaluation (minor additions such as solids and less common ingredients will be necessary). As an example, the Fricke Concordia I laboratory dosing apparatus can create 130 compounded fragrances overnight, while the Cobra by Contexa can produce fragrance samples of any size from grams to 5kg in mere minutes. What does this mean for perfumery? We all learn through a process of feedback and evaluation. Being able to create significantly more fragrance samples in amazingly less time decreases the gap between development and feedback, thereby increasing the capacity for learning. It also allows perfumers to create and evaluate several similar formulas at once, choosing the one that best fits their needs without added time, effort or cost. Ultimately, this allows perfumers more time to develop their technique, try new things, identify new opportunities for their company, and open new space for innovation. Many articles have been written on the technology and implications of fragrance ingredients produced through biotechnology, specifically those created by altering fermentation pathways in yeast and other microorganisms. For the purposes of this article, let’s not delve into the science, but provide a brief overview of the ways it has changed the industry and the implications it has for the future. It is not uncommon to hear about natural disasters and shortages that cause the price of natural oils to increase drastically. Last year’s hurricane season destroyed an estimated 50% of Florida’s orange crop, not to mention threats from disease, insects and other issues around the world. Prices for orange oil have risen drastically from as low as $3/kg in 2012, to more than $12/kg in recent years.4 This instability in crop yields poses a significant challenge to our industry. In part, instability in the patchouli market is what led to the success of Clearwooda, an ingredient created through white biotech by a partnership between Firmenich and Amyris, which can be used as a sustainable alternative to patchouli oil5. Historically, deforestation and crop shortages caused drastic increases in the price of patchouli oil. Prices have since decreased, but Clearwood still offers a price-stable alternative with the advantage of consistent cost, quality and availability. It also offers a balance check for the patchouli oil market. If patchouli oil prices sky-rocket, a replacement is available. This serves not only to offer cost stability to the market, but it also prevents artificial shortages and market manipulation. Any ingredient that shows frequent or considerable instability in availability, price or quality will be a target for biotechnology moving forward. There are also white spaces in natural perfumery that do not have natural ingredient solutions, such as the muguet category. Finally, the difficulties of sesquiterpene chemistry have prevented these molecules from being available to the industry at viable pricing through traditional synthetic manufacturing processes, but are accessible through white biotech. Advances in this area have been seen through Amyris’ work with Farnesene and more advances will be seen in the years to come. So what does this mean for the future? Advances in molecular modeling are allowing R&D teams to predict molecules that can meet specific performance indicators as well as odor categories. While not exact, this science will provide new targets for our industry, some that cannot be manufactured cost-effectively through traditional means. As libraries of genetic pathways documented by biotech companies increase and this science is expanded, the startup costs and development timelines for these projects will likely decrease, meaning an increase in the availability of molecules produced through biotech, and access to new natural materials to meet the performance challenges posed by current and new delivery systems. Delivery systems have been described as “Enabling consumers to have fragrance experiences that would not be possible by just applying the neat oil.” With competition over shelf space and consumer demands for new experiences at an all-time high, innovation in delivery systems is now more important than ever. But where can we go from here? New technologies, expanding competition, and evolving consumer activity have opened the door to new inventions for fragrance use and delivery. By now, many readers are familiar with microencapsulation techniques common in laundry care, which revolutionized the industry. Before encapsulation, perfumers had a very limited character set of molecules that would remain on fabric. 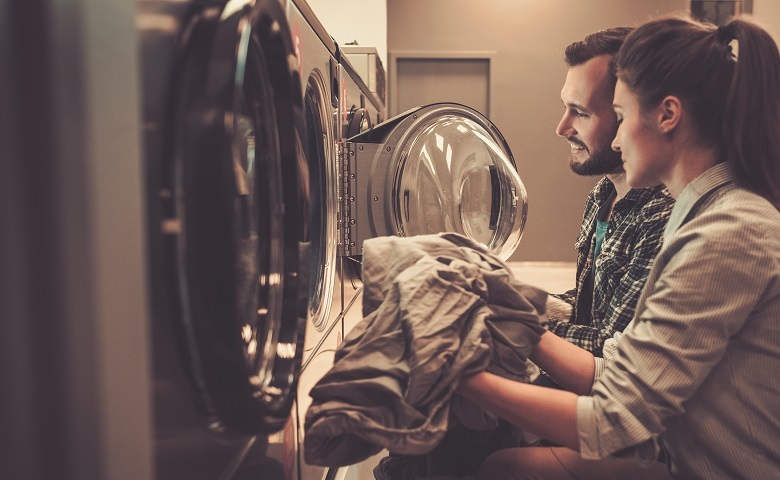 Laundry care fragrances were heavy in base notes, with very little odor type variety due to the limitations on fabric retention, stability in harsh detergent bases, and rigors of surviving an intense washing and drying cycle. Top notes were used for initial bloom in the container and at the start of the wash cycle but did not survive to remain on the fabric long-term. These capsules changed the game due to their ability to stick to fabric, hold ingredients that previously would have been washed away, and break later for a controlled fragrance release. This allowed perfumers to increase the intensity of the fragrance at desired moments, while offering a controlled release that did not overwhelm the consumer experience when the container is opened. Even the consumer understanding of a clean fabric scent has been trained over the years by limitations in odor types that remain on fabric. In a conversation with my uncle a few years ago, he explained that he is allergic to fragrance and cannot use any fragranced products. When asked what type of detergent he uses, his answer was of course Tide. He did not understand that the clean odor on his fabric was the product of a fragrance. He thought that the remaining aroma was just the unaltered scent of clean laundry. Encapsulation technology, though it has been used for over a decade, still has a role to play in the pioneering of new odor types in the laundry category as consumer tastes are expanded. Malodor counteraction is another area that will benefit from technology in the coming years. Unlike encapsulation, the technology that will benefit malodor technology may not come from a new delivery system, but from a deeper understanding of the biological, chemical, and physiological components that create, allow us to detect, and ultimately allow us to eliminate unpleasant odors. One thing that we see in common between these new technologies is a rising interest in high impact molecules with low odor detection thresholds, which is a specialty for us at Bedoukian Research. These high-intensity molecules are critical for encapsulation, since only a limited quantity of fragrance can be contained in each microcapsule. Each release needs to have a consistent odor, and with each release, that limited amount of fragrance needs to make a significant impact on the consumer. Delivery system advancements will not be limited to encapsulation. They will range from sustainability-driven initiatives, such as Tide PODSb, to truly novel delivery systems such as tabletop scent emitters that connect to your smartphone and tablet, releasing fragrances that add an emotional experience to the pictures you view, books you read, and movies you watch.7 Another example is Sensorwake, the “olfactory alarm clock” developed by French inventor Gillaume Rolland, through a partnership with Givaudan, which uses scent to energize the consumer in the morning. Surely we will see many novel and innovative uses of fragrance in the years to come. There are several companies developing within the space of artificial intelligence (AI). Most relevant to our industry have been the efforts of business solutions giant IBM, with their Watson artificial intelligence technology. At Flavorcon 2015, IBM presented Chef Watson, with recipes and proposed marketing insight developed through artificial intelligence.8 IBM has also reportedly been developing Watson as an AI perfumer, combining trend tracking, sales data, and perfume performance data to create successful fragrances with improved efficiency.9 While they can try, we all know that perfumery is more than just assembling ingredients. Perfumery takes a lifetime of experience to master. The interactions between ingredients, environment, the delivery system and many other factors cause complications that cannot be computed using today’s technology. That being said, concerns about AI replacing humans, the “Singularity,” and the threat posed by out-of-control AI are very real in the world of business. Elon Musk has been quoted as describing artificial intelligence to be a “Fundamental risk to the existence of human civilization.”10 On the other hand, Peter Thiel, co-founder of PayPal and ground-breaking investor, took a different stance on AI in his book, Zero to One. He stated that technology is not something to fear and certainly not a replacement for human effort and thought-capacity at this time, but rather a tool that allows us to be more efficient than we were in the past.11 Looking through this lens, what could artificial intelligence offer our industry? Advancements in encapsulation technologies allow the perfumer to increase the intensity of the fragrance at desired moments, while offering a controlled release that does not overwhelm the consumer experience when the container is opened. Millennials have been a focus in marketing circles for several years. Their desire for new sensory experiences and forms of engagement and the changes they have driven in the marketplace are well documented. It has also been noted that there are more line extensions, product launches, and competition in today’s fragrance market than ever before. With the proper data and market research, artificial intelligence would be able to translate sales and market data across not just our industry, but also across global consumer culture, offering new cross-category insights to marketers, perfumers and executives. Similar marketing systems have been developed in the past, but what AI offers is the capability to learn and adapt to ever-changing market needs and data sets in real time. It could identify desired odor types, performance criteria and factors that influence purchase decisions, making proposals based on marketing input, perfumery and sales data that light the way toward new growth and innovation. It cannot replace the creativity and ingenuity of life-long perfumers, but it might show them outside-the-box sample formulas that challenge them to think in new ways and adapt quickly to this new world of quickly shifting consumer desires. Opinions on the future of our industry range widely from optimistic (there are countless as yet unexplored new delivery systems, technologies, and innovations) to pessimistic (a feeling that our industry is becoming commoditized and that creativity is being stifled). Regardless of which way the industry is directed by its leaders and also by its customers, there are certainly more blue skies to be explored and plenty of spaces for new developments. It is the author’s hope that companies will use technology in the way envisioned by Peter Thiel, as a driver of efficiency and innovation, while allowing its people more time and resource to capitalize on opportunities and chart a positive future for us all. Thiel, Peter, and Blake Masters. (2014) Zero to One: Notes on Startups, or How to Build the Future. Crown Business. b Tide PODS are a registered trademark of Procter & Gamble.